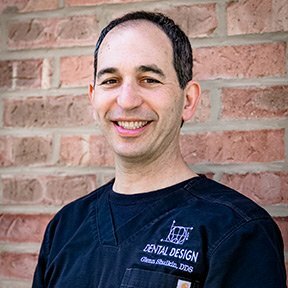 Dr. Glenn was born and raised in Chicago and its northern suburbs. He currently resides in Buffalo Grove with his wife, Janice and their son, Bradley and daughter, Amanda. Dr. Glenn is the eldest child of Dr. Neil Shulkin. He received his Bachelor and Doctorate Degrees in dental surgery from the University of Illinois College of Dentistry, after attending Indiana University majoring in Chemistry. He also served as an assistant at two major dental laboratories in the Chicago area – Major-Monroe Dental Laboratory and Summit Dental Laboratory. After graduating, Dr. Glenn joined his father and later took over his father’s practice. Dr. Glenn was one of the first American dentists to be formally trained and to be certified as a trainer in the use of YAG laser. He has presented seminars and training on laser technology and implementation at his practice to hundreds of dentists, and has lectured at universities, professional, business and community groups. Dr. Glenn was the first dentist in the U.S. to utilize the Nd:YAG laser following FDA approval. Dr. Shulkin was charter member of the Board of Directors and a member of the Finance Committee of the International Academy of Laser Dentistry (1990). He is a Fellow of the American Academy of Laser Dentistry, a member of the American Society of Lasers in Medicine & Surgery, the American Dental Association, the Chicago Dental Society, the Illinois State Dental Society, Alpha Omega Dental Fraternity, the International Society of Laser Dentistry, the American Academy of Dental Group Practice, the Academy of General Dentistry, the Greater O’Hare Association, and a graduate of the Dale Carnegie Institute. He has earned hundreds of hours of continuing education. Dr. Glenn Shulkin is co-author (with Dr. Neil Shulkin) of a textbook titled, “Professionally Speaking: A Marketing and Management Handbook for Dental and Medical Professionals” which is now in national distribution. He has appeared on several television programs, including WCIU-TV, American Medical TV, and the American Airlines TV. He has also been subject of several newspaper reports internationally. Dr. Glenn enjoys racquetball, swimming, and basketball.